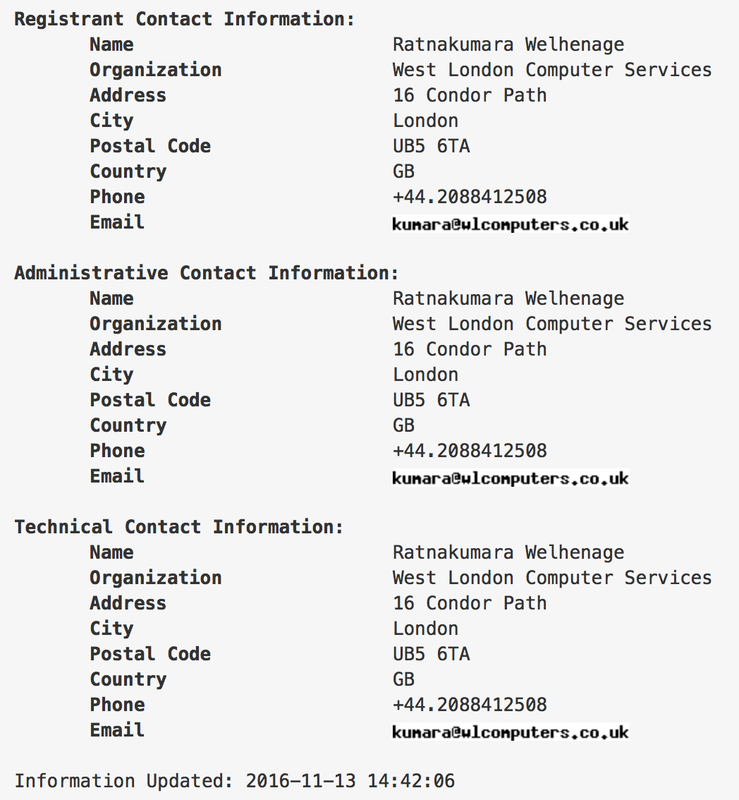 A Sunday Times news report published today brought to light the fact that the infamous Udayanga Weeratunga’s website is actually the same web address as that of the former Sri Lankan Embassy in Russia. Immediately archived the site, which you can download from here. The link goes to a folder with additional information around the ownership of this site. 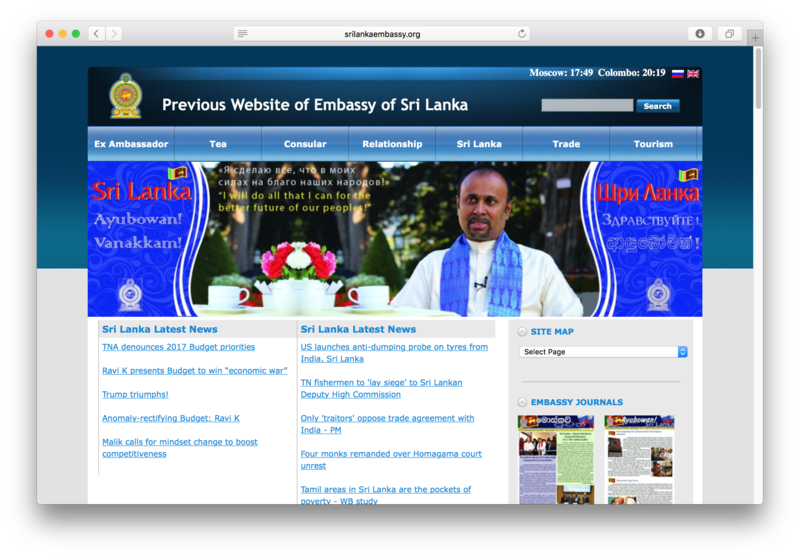 http://www.srilankaembassy.org is registered to, at the time of writing, to a Ratnakumara Welhenage, based in London. This same individual comes up in a BBC news report covering former President Mahinda Rajapaksa’s election into the second term of office, praising the result. Birds of a feather clearly flock together.